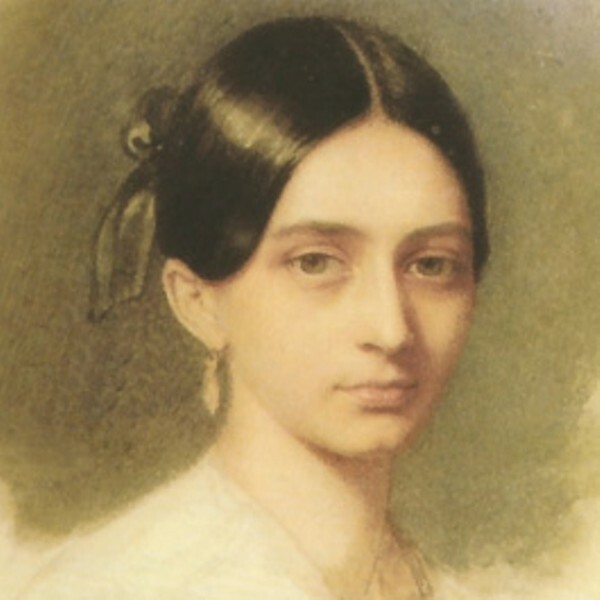 When then-unknown composer Robert Schumann asked 18-year-old Clara Wieck to marry him, she'd already been performing in public to critical acclaim for half her life. It took three years and a court trial (Clara's father adamantly opposed the union) before she became Mrs. Schumann. And though she shared the company of leading 19th-century composers like Chopin, Brahms, Liszt and Mendelssohn, her legacy has often been cast in their shadow. For 61 of her 76 years, Clara performed concert piano; she also taught, composed and helped to usher in the revolutionary practice of playing from memory. All this while raising seven children and serving as the primary bread-winner of her family. (Her husband's unstable mental health eventually left her widowed at the age of 37). Amazingly, she devoted her life to editing, playing and promoting her husband's work, whereas her own compositions remained largely unknown until the second half of the 20th century. Clara's remarkable life is the subject of pianist and actor Katie Ketchum's tribute show, An Evening with Clara Schumann. As a teenager looking for female role models, Ketchum felt inspired to write a play about Clara but was afraid she couldn't speak with a German accent. Now in her 50s, she "decided to get a German tutor and write the play." The result is an educational concert/drama that brings Clara Schumann to life through storytelling, piano, letters and costume. The drama, which takes place in 1892, just a few years before her death, deals with Clara's scandalously suggested affair with composer Johannes Brahms. "[He] was in love with her, and she was his muse for his compositions, which are my favorite piano pieces to listen to and to play," Ketchum says. In addition to some of Clara's rarely performed works, Ketchum will play pieces by Robert Schumann, Chopin and Brahms. "There is nothing that surpasses the joy of creation, if only because through it one wins hours of self-forgetfulness, when one lives in a world of sound," wrote Clara Schumann. Learn more about this fascinating musician on Saturday, Jan. 22, at Sebastopol Community Church (1000 Gravenstein Hwy. N., Sebastopol; 2pm) and on Sunday, Jan. 23, at First Congregational (2000 Humboldt St., Santa Rosa; 2pm). $10&–$20. www.katieketchum.com.